Storms are a major concern of many home owners in Sherman and the North Texas region. It seems that storms are more threatening and damaging than ever. Hail has always been an issue for roofs and even smaller hailstones can cause significant damage, this it is important to frequently check your roof after a hail storm. Roofing Services of Sherman excels in post storm repair. Not only do we perform major construction work, we also do minor repairs as well. If you suspect damage has occurred after a storm give us a call and we can perform a thorough check of your home. Don't hesitate to call after a storm. Sometimes waiting to have your roof inspected after a hail storm causes more damage than the storm itself. Leaks can occur over time if not inspected. If a storm takes aim at your home and you suspect damage, it is recommended that you attempt a visual walk around. In most cases it is best to leave on roof inspections to professionals. 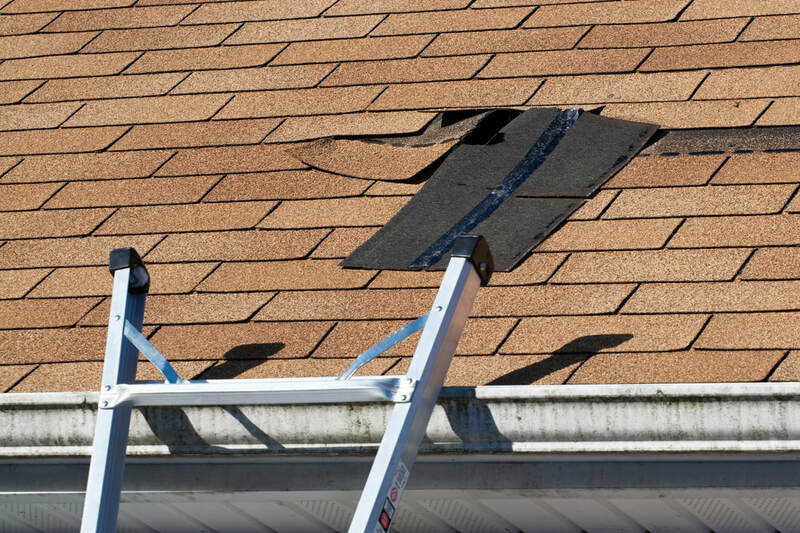 Many accidents occur when homeowners decide to take on-roof inspections into their own hands. The possible wetness and slope of the roof can result in a potential hazard. The ultimate damaging storm substance is hail. It reigns supreme as the number one and most common damaging storm result in the United States. Most of the time damage will not be noticeable until one is on the roof. The next potential cause of roof damage would be high winds. Homeowners never really understand the damaging aspect of wind. Typically when it is windy we are inside the home and have no way of knowing if shingles are raising due to wind. Water gets under the shingles and can either cause immediate, or long term damage. Debris from blowing or falling limbs can also cause damage, although typically this damage is much more damaging in isolated areas. Long term exposure to heavy rains can cause unsuspecting damage which shortens the life of your roof. Over time rain will wash the granular surface of the roof into gutters. The easiest way to check is to look into gutters after a storm. If there are roof granules in the gutter then age is becoming evident.